The denominations in the Latter Day Saint movement are sometimes collectively referred to as Mormonism. Although some denominations opposed the use of this term because they consider it to be derogatory, it is especially used when referring to the largest Latter Day Saint group, The Church of Jesus Christ of Latter-day Saints (LDS Church), and offshoots of it. Denominations opposed to the use of the term consider it to be connected to the polygamy once practiced by the Utah church. 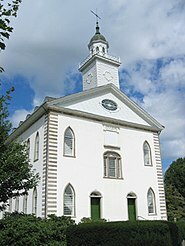 The original church within this movement, founded in April 1830 in New York by Joseph Smith, was the Church of Christ, which was later named the Church of the Latter Day Saints. It was renamed the Church of Jesus Christ of Latter Day Saints in 1838 (stylized as the Church of Jesus Christ of Latter-day Saints in the United Kingdom), which remained its official name until Smith's death in 1844. This organization subsequently splintered into several different denominations, each of which claims to be the legitimate continuation of this original church, and most of which dispute the right of other denominations within the movement to claim this distinction. The largest denomination within the contemporary movement is the LDS Church with approximately 16 million members. It is headquartered in Salt Lake City, Utah, and uses the term Members of The Church of Jesus Christ of Latter-day Saints to describe itself and its members (note the hyphenation and variation in capitalization usage). The second-largest denomination is the Community of Christ (first named the Reorganized Church of Jesus Christ of Latter Day Saints (RLDS Church) from 1872 to 2001), a Missouri-based, 250,000-member denomination. Though members of this church have traditionally been called Latter Day Saints (without the hyphen), the Community of Christ has more recently stated that it rejects the use of the term Saints as a designation for its members in any official reference or publication. Other denominations within the movement either formed around various would-be successors to Smith, or else broke from denominations that did. These, together with the two denominations listed above, are detailed in the table of denominations within the Latter Day Saint movement, below. 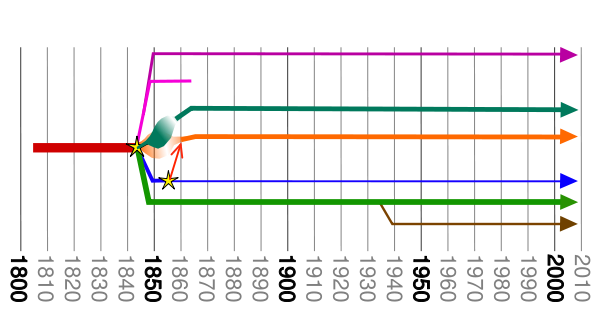 A Brighamite-centric timeline of formations and origins for most Mormon denominations. 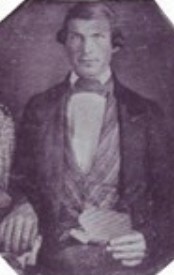 Though a few small factions broke with Smith's organization during his lifetime, he retained the allegiance of the vast majority of Latter Day Saints until his death in June 1844. 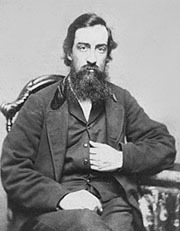 Following Smith's death, the movement experienced a leadership crisis which led to a schism within the church. 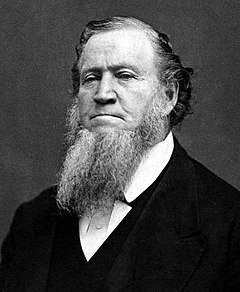 The largest group, which would become the LDS Church, followed Brigham Young, settling in what would become the Utah Territory. The second-largest faction, the RLDS Church, coalesced around Joseph Smith III, eldest son of Joseph Smith. Other would-be leaders included the senior surviving member of the First Presidency, Sidney Rigdon; the newly baptized James Strang from Wisconsin; and Alpheus Cutler, one of the Council of Fifty. Each of these men still retains a following as of 2014—however tiny it may be in some cases—and all of their organizations have experienced further schisms. 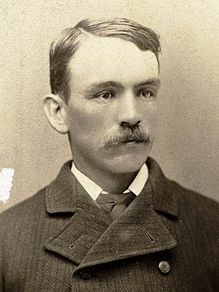 Other claimants, such as Granville Hedrick, William Bickerton and Charles B. Thompson, later emerged to start still other factions, some of which have further subdivided. 12 denominations are listed in the following table. Given the large number of Latter Day Saint churches and their differing backgrounds, categorizing them can be difficult. A common approach in some histories and studies is to use Rocky Mountain Saints for those denominations headquartered in the American West and Prairie Saints for those denominations that formed in and around Nauvoo, Illinois; Voree, Wisconsin; Independence, Missouri; and other locations in the Midwest and East. These terms do not necessarily relate the current geographical locations of all denominations within those two groupings, but rather the original location of their respective parent organizations, which may be seen in the table below. Another method uses provenance: for instance, all denominations that ultimately trace their history back to the LDS Church in Utah are organized as one factional group. Divergent Paths of the Restoration—a reference work on this subject—follows this approach. In such studies, and in general Latter Day Saint parlance, the -ite-suffixed terms Josephite and Brighamite have been used for the Missouri-based Community of Christ and the Utah-based LDS Church respectively; these terms have sometimes been used to distinguish groups of denominations. Those denominations within each group share a common ancestry and basic beliefs that are different from groups sharing other provenances. The present article, in a similar fashion, distinguishes among groups of denominations by use of commonly understood names such as Mormon fundamentalist or else by short descriptions that often reference a founder of the first church within a factional group–for example, Joseph Smith III in reference to Community of Christ and various churches and factions that trace their origin to it. Joseph Smith's original church, and those bodies which broke with him during his lifetime. The original organization, founded by Joseph Smith in 1830, later called the Church of the Latter-Day Saints and then The Church of Jesus Christ of Latter-Day Saints. Joseph Smith April 6, 1830 Smith's original organization; multiple denominations currently claim to be its true successor In 1834, official name changed to "Church of the Latter Day Saints". In 1838, official name changed again to "Church of Jesus Christ of Latter Day Saints". Unofficial names included Church of God and Church of Jesus Christ. Other small churches formed on the basis of disagreements with Smith prior to his murder in 1844 (including church established by William Law within 1844), all of which are now defunct. Wycam Clark 1831 Church of Christ Defunct First schismatic denomination in the Latter Day Saint movement. – Hoton 1832 Church of Christ Defunct Little is known about this second schismatic denomination apart from the date of establishment, the surname of its founder, and that Hoton denounced Joseph Smith and the Book of Mormon. Ezra Booth 1836 Church of the Latter Day Saints Defunct Taught that Joseph Smith was not a prophet, and the Book of Mormon was not scripture. Warren Parrish 1837 Church of the Latter Day Saints Defunct Also referred to as the Church of Christ (Parrishite). Believed that Smith was a "fallen prophet". Rejected the Book of Mormon and parts of the Bible. Isaac Russell 1839 Church of Jesus Christ of Latter Day Saints Defunct Taught that the Latter Day Saints should remain in Missouri, and not emigrate to Illinois. William Chubby Late 1830s Church of Jesus Christ of Latter Day Saints Defunct Established with the special mission of ministering to African Americans. George M. Hinkle 1840 Church of Jesus Christ of Latter Day Saints Defunct Taught that Smith was not a prophet, and the Book of Mormon was not scripture. William Law 1844 Church of Jesus Christ of Latter Day Saints Defunct Opposed plural marriage; published the Nauvoo Expositor. Charges levied against Smith over the destruction of this periodical led to his assassination. Sometimes called "Rocky Mountain Saints," "Brighamites," or "Mormons", tracing their leadership or influence through Brigham Young's apostolic succession. By far the largest and best known Latter Day Saint church, which is colloquially, but imprecisely, referred to as the "Mormon Church". Churches that believe they are strictly following the revelations and teachings of Joseph Smith and Brigham Young, including the practice of plural marriage, which was discontinued by the LDS Church in the late-19th century after the Manifesto. Lorin C. Woolley 1920s The Church of Jesus Christ of Latter-day Saints Multiple denominations claim to be true successor Also known as the Priesthood Council, this group was originally headquartered in Salt Lake City, Utah, and the Short Creek Community. One of the earliest Mormon fundamentalist groups, originating at end of plural marriage in LDS Church. Later splintered into several groups, particularly upon death of Joseph W. Musser in 1954. Most modern Mormon fundamentalist groups may be traced back to this organization. Elden Kingston 1935 Council of Friends Roughly 2,000 members Headquartered in Davis County, Utah. Commonly known as the "Kingston clan" and the "Davis County Cooperative Society". Rulon C. Allred 1954 Council of Friends Approximately 10,000 members (1998) Headquarters in Bluffdale, Utah. Organized during schism between two groups over issue of presiding authority between Rulon C. Allred and Leroy S. Johnson, upon death of Joseph W. Musser. Leroy S. Johnson 1954 Council of Friends 8,000–10,000 members Traditionally headquartered in Colorado City, Arizona, with a community of roughly 700 members near Eldorado, Texas. Also called "FLDS Church" and is the largest group of Latter Day Saints who practice plural marriage and Mormon fundamentalism. Joel F. LeBaron 1955 Apostolic United Brethren Precise continuity unknown, several hundred or a thousand believers' following one or another putative successors to denomination leadership Headquartered in Colonia Lebaron, Mexico Established in northern Mexico and elsewhere, this group claims an especial priesthood keys owing to a line of authority through Benjamin F. Johnson, a member of the Council of Fifty. Ross Wesley LeBaron 1955 Church of the Firstborn of the Fulness of Times A hundred or more Originally headquartered in Salt lake City, Utah. (Within months of the organization of the Church of the Firstborn of the Fulness of Times, Ross Wesley LeBaron broke with his brothers and formed his own denomination calling it simply, ""The Church of the Firstborn." 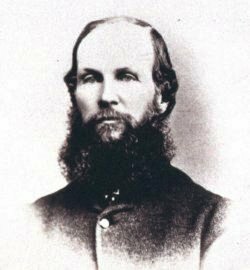 Wesley believed he was sent to prepare the way for the One Mighty and Strong, who would be "an Indian prophet" Three notable early followers were Fred Collier (whose 100-plus membership clan live in Hanna, Utah and elsewhere), Tom Green, and Robert Black. Alex Joseph 1974 Apostolic United Brethren Approximately 400 headquartered in Big Water, Utah In conjunction with the Church of Jesus Christ in Solemn Assembly, Alex Joseph group created the Confederate Nations of Israel in 1977, a Hybrid church–political organization patterned after the Council of Fifty. Members can be from any religious denomination or atheist. Around one-quarter of members practice plural marriage. Ervil LeBaron 1972 Church of the Firstborn of the Fulness of Times Current status unknown, may continue in LeBaron family in Los Molinos, Baja California Ervil LeBaron split with his brother, Joel F. LeBaron in 1972. Ervil then ordered his brother Joel killed in 1972, and Apostolic United Brethren leader Rulon C. Allred killed in 1977. LeBaron was extradited to the United States and sentenced to life in prison where he died in 1981. John W. Bryant 1975 Apostolic United Brethren Headquartered in Salem, Oregon Previously called the "Church of Christ Patriarchal" and the "Evangelical Church of Christ". One of Bryant's estranged wives says Bryant converted temple ordinances into sexual rites and that he authorized a type of "free love" among the members. Gerald Peterson, Sr. 1978 Apostolic United Brethren Approximately 100-200 members. Headquartered in St. George, Utah. This small group of about 100–200 people was founded by Gerald Peterson Sr. They claim Gerald Peterson Sr. was the rightful successor to Rulon C. Allred and Spencer W. Kimball. They claim Allred and others, including the God and Jesus, visited Peterson, who held and exercised all priesthood responsibilities and keys. 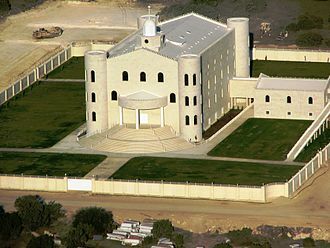 David Israel 1981 Church of the New Covenant in Christ Based in Cane Beds, Arizona. One of the lesser known Fundamentalist Groups, organized by David Israel (real name, Gilbert Clark) with members of the Apostolic United Brethren and members of John W. Bryant's Group. Robert C. Crossfield 1982 The Church of Jesus Christ of Latter-day Saints Headquartered in Salem, Utah In 1968 Crossfield published the Book of Onias which, among other things, condemned many LDS Church leaders and was excommunicated in 1972. Through associations, and initially well received, with Mormon fundamentalists in Creston, British Columbia, Canada, in 1982 Crossfield established his own "School of the Prophets", presided over by a President and six counselors. Ron and Dan Lafferty, convicted of the 1984 murder of their brother's wife and infant daughter, served as counselors in the Provo, Utah, School of the Prophets in 1984. Alma Timpson 1984 Fundamentalist Church of Jesus Christ of Latter-Day Saints Roughly 1,500 members Also known as the "Second Ward". Organized by group who broke from Leroy S. Johnson over questions regarding presiding authority. Ivan Neilsen 1990 Centennial Park 200–300 members. Headquartered in Bluffdale, Utah Also known as the "Naylor group" and the "Third Ward". Organized by group who broke from Centennial Park over conflicts in the leadership of Alma Timpson. James D. Harmston 1994 The Church of Jesus Christ of Latter-day Saints 300–500 members (2004) Headquartered in Manti, Utah. 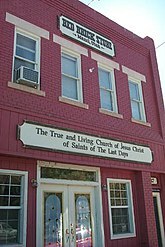 Also called "TLC Church" and formed independent of the Woolley or the LeBaron priesthood lineages. Terrill R. Dalton 2001 The Church of Jesus Christ of Latter-day Saints Currently headquartered in Fromberg, Montana Originally organized in Magna, Utah, by former members of the LDS Church. Practice polygamy and the law of consecration. Dalton purports to be the Holy Ghost and the Father of Jesus. Winston Blackmore 2002 Fundamentalist Church of Jesus Christ of Latter Day Saints Headquartered in Bountiful, British Columbia with approximately 700 members Also known as the Blackmore/Bountiful Community, this schism from the FLDS Church occurred when church president Warren Jeffs excommunicated Blackmore, causing the community of Bountiful to split nearly in half. This little known Group is headed by Roger Billings, who like so many is a former member of the mainstream LDS church. The defunct Godbeites and a few other small churches that broke with the LDS Church to pursue a more liberal, inclusive, or rationalist theology. William S. Godbe 1868 The Church of Jesus Christ of Latter-day Saints Defunct Also known as "Godbeites". David-Edward Desmond 1966 The Church of Jesus Christ of Latter-day Saints Lasted until at least 1973, probably until 1974. Founded in Denver, Colorado; the church was founded specifically for young gay men only, ages 18 to 30; members practiced the United Order. Antonio A. Feliz 1985 The Church of Jesus Christ of Latter-day Saints Dissolved in 2010. Majority of members were LGBT. Commonly called the "Gay Mormon Church" or the "Liberal Mormon Church". Originally called the "Church of Jesus Christ of All Latter-day Saints". 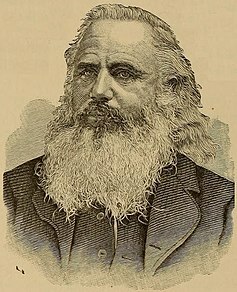 Arnold Potter 1857 The Church of Jesus Christ of Latter-day Saints Defunct Potter wore a long beard and white robes; his followers wore black robes; followers emigrated from California to Council Bluffs, Iowa, in 1861. Joseph Morris 1861 The Church of Jesus Christ of Latter-day Saints Assumed defunct Remnants of this organization survived into the mid-20th century. Involved in the Morrisite War; believe in reincarnation. Morris claimed to be the successor of James Strang, though his organization broke from the LDS, not the Strangite, church. Walter M. Gibson 1861 The Church of Jesus Christ of Latter-day Saints Defunct Organized in Pacific Islands; sold leadership offices to native peoples; gathering place established on Lanai, Hawaii. William W. Davies 1866 Church of the Firstborn (Morrisite) Defunct Lived a communal life near Walla Walla, Washington, from 1867 to 1881. John R. Eardley 1882 Church of the Firstborn (Morrisite) Disbanded in 1969 The last known surviving remnant of the "Morrisites". James Brighouse 1884 Reorganized Church of Jesus Christ of Latter Day Saints and Church of the Firstborn (Morrisite) Continues into the 21st century Believe in reincarnation; rejected plural marriage; believe that Jesus reincarnated as Brighouse and again in 1909 as Dr. Dahesh and that the millennium will commence in the 24th century. Abel Páez 1936 The Church of Jesus Christ of Latter-day Saints Continued into the 21st century Formed by Abel Páez and a dissident group of Mexican Latter-day Saints who broke away from the main body of church authority in 1936 over a dispute about local governance and autonomy of the church in Mexico. Maurice L. Glendenning 1943 The Church of Jesus Christ of Latter-day Saints Less than 1,000 members Also called "Aaronic Order" and the "Order of Aaron". Religious researchers have categorized The House of Aaron as part of the Latter Day Saint movement, which this denomination disputes. Merl Kilgore 1951 Aaronic Order and The Church of Jesus Christ of Latter-day Saints Headquartered in Mansfield, Missouri; approximately 100 members Formerly known as Zion's Order of the Sons of Levi; use all of the scriptures of the LDS Church except section 132 of the Doctrine and Covenants, plus 650 revelations to Kilgore. William C. Conway 1955 The Church of Jesus Christ of Latter-day Saints Unknown Also called "Restored Apostolic Church of Jesus Christ of Immaculate Latter-day Saints"; Conway claimed to be the reincarnation of Moroni and to have been visited by a reincarnation of Joseph Smith. Art Bulla 1983 The Church of Jesus Christ of Latter-day Saints Headquartered in Salt Lake City, Utah Bulla taught other Latter-day Saints that he was the "One Mighty and Strong" that Joseph Smith prophesied would come to set the church in order. Bulla was interviewed in the anti-Mormon movie The God Makers II with the title "Mormon Prophet" under his name. Matthew P. Gill 2007 The Church of Jesus Christ of Latter-day Saints Headquartered in Derbyshire, England Met informally as "The Latter Day Church of Christ" until formal organization. Added the Book of Jeraneck to scriptural canon. Those churches rejecting Brigham Young's leadership, in favor of some other claimant. These adherents are occasionally referred to, collectively, as "Prairie Saints." The Reorganized Church of Jesus Christ of Latter Day Saints and related churches tracing their leadership through Joseph Smith III. Latter Day Saints; some early members came from Strangite church More than 250,000 members as of 2006 Second-largest Latter Day Saint denomination. Headquartered in Independence, Missouri. Previously known as the "Reorganized Church of Jesus Christ of Latter Day Saints" (RLDS Church); organized by Joseph Smith III in 1860. R. C. Evans 1918 Reorganized Church of Jesus Christ of Latter Day Saints Defunct Split with RLDS Church due to their denial that Joseph Smith practiced plural marriage; Evans published a book documenting evidence that Smith was a polygamist, then went on to reject most of the tenets of Mormonism. Forrest Toney 1980 Reorganized Church of Jesus Christ of Latter Day Saints Headquartered in Independence, Missouri Left RLDS Church in 1980; claimed to be "Elijah and only prophet" of his organization. Various local leaders of the RLDS church 1980s Reorganized Church of Jesus Christ of Latter Day Saints As of 1993, 15,000–30,000 sympathizers who yet retained membership in the RLDS Church (Community of Christ); as of 2011, c. 10,000 members attending several hundred distinct congregations. Affiliated branches and study groups, with each branch relatively autonomous and the movement as a whole centered in Independence, Missouri. RLDS Church branches that became independent of the RLDS Church individually throughout the 1980s, due to opposition to changes in church doctrines and practices. Most priesthood holders of these branches soon became affiliated with the "Conference of Restoration Elders". At a three-day conference in November 2005, the "Joint Conference of Restoration Branches" was formed, which had 6,000 to 7,000 members as of 2010. Members consider themselves members of the [historical] RLDS Church, in a direct line of succession from those who dissented following doctrinal changes roughly coinciding with the church's name change to Community of Christ. Nolan W. Glauner Mid-1980s Reorganized Church of Jesus Christ of Latter Day Saints Members in Missouri and Africa; headquartered in Tarkio, Missouri Regards Wallace B. Smith as a "fallen prophet" of the RLDS Church for his opening the priesthood to women and for choosing to build the Independence Temple as opposed to the city of Zion. David B. Clark 1985 Reorganized Church of Jesus Christ of Latter Day Saints Headquartered in Oak Grove, Missouri Also known as "Lion of God Ministry". Clark broke from the RLDS Church in November 1985. In May 1987, Clark began to issue a newsletter, "The Return". Group adheres closely to the King James Version of the Bible and "The Record of the Nephites" [Book of Mormon], but does not consider other Mormon scripture to be authoritative. They keep annual feasts, including Passover, Pentecost, Tabernacles, etc. John and Robert Cato, among others 1986 Reorganized Church of Jesus Christ of Latter Day Saints 200 or so members; headquartered in Independence, Missouri Largely composed of former members of the RLDS Church who oppose what they consider to be recent doctrinal innovations, especially the giving of the priesthood to women in 1984. Jeffrey Lundgren 1988 Reorganized Church of Jesus Christ of Latter Day Saints Defunct; approximately 20 followers; headquartered in Kirtland, Ohio  The denomination broke off from the RLDS Church when Lundgren was dismissed from the church on October 10, 1988. Lundgren was executed by the state of Ohio on October 24, 2006, for the murder of Dennis Avery and four of his family members. Several RLDS entities 1991 Reorganized Church of Jesus Christ of Latter Day Saints Headquartered in Independence, Missouri The church broke off from the Community of Christ because of its belief that women should not hold the priesthood. 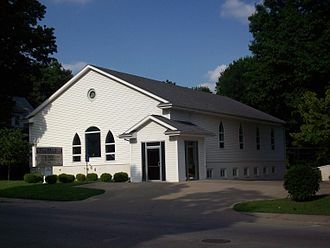 Frederick N. Larsen 2000 Independent RLDS / Restoration Branches 1,000–2,000 members; headquartered in Independence, Missouri Chiefly composed of former members of the RLDS Church who were part of the Independent RLDS / Restoration Branches. They oppose what they consider to be recent doctrinal innovations, especially the passing of the church presidency to someone not descended from Joseph Smith (Larsen is a descendant of Smith through his grandson Frederick Madison Smith). The Church of Christ (Temple Lot) and related churches tracing their leadership through Granville Hedrick. Granville Hedrick 1863 Church of Jesus Christ of Latter Day Saints; some members from Gladdenites 5,000 members; headquartered on the Temple Lot in Independence, Missouri Owns the Temple Lot; adherents commonly referred to as "Hedrickites." Otto Fetting 1929 Church of Christ (Temple Lot) Denomination divided into various factions A denomination which split with the Temple Lot church over reported revelations from John the Baptist to its founder, Otto Fetting; adopted seventh day sabbatarianism under Apostle S.T. Bronson in 1950s. E. E. Long 1932 Church of Christ (Temple Lot) Headquartered at Schell City, Missouri; less than 100 members Members originally believed Otto Fetting's revelations but did not join the Church of Christ (Fettingite). Formally named "Church of Christ at Zion's Retreat" until a 1972 schism in which Dan Gayman led most of its followers away to his Church of Israel. A.C. DeWolf ca. 1937 Church of Christ (Fettingite) Louisiana, Mississippi, Missouri;approx. 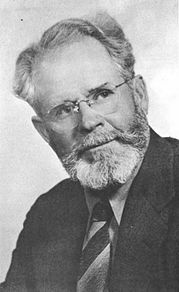 450 members Split from Fettingite organization in late 1930s when that denomination initially accepted William Draves' "messages"; claims to be the true continuation of Fetting's church. Non-sabbatarian. William Draves 1943 Church of Christ (Fettingite) c. 12,500 members worldwide as of 1987. 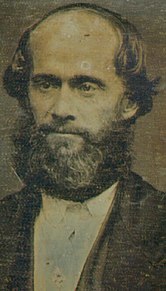 Headquartered in Independence, Missouri Split with the Church of Christ (Fettingite) when that denomination rejected revelations from John the Baptist given to its founder, William Draves, following the death of Otto Fetting. Pauline Hancock 1946 Church of Christ (Temple Lot) Defunct as of 1984 First Latter Day Saint denomination to be established by a woman; accepted KJV Bible and Book of Mormon only; later rejected Book of Mormon and dissolved itself in 1984. Among its former members were Jerald and Sandra Tanner, opponents of the Latter Day Saint movement and founders of the Utah Lighthouse Ministry. H. H. Burt 1965 Church of Christ with the Elijah Message Around 35 members Leighton-Floyd and Burt split with the Church of Christ with the Elijah Message during the reincorporation of that church under its present name. Leighton-Floyd left shortly after the formation, with Burt assumed leadership of the group. The membership is centered on an agricultural cooperative near Holden, Missouri. Dan Gayman 1972 Church of Christ at Halley's Bluff Headquartered in Missouri Name was "Church of Our Christian Heritage" until incorporation in 1981. The church has been accused of being a Christian Identity church, a charge which is denied by Gayman. Few Latter Day Saint beliefs or practices remain in the church. 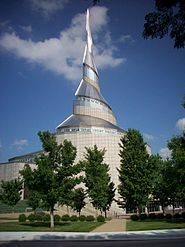 The Church of Christ With the Elijah Message, The Assured Way of the Lord, Inc.
Leonard Draves 2004 Church of Christ with the Elijah Message Headquartered in Independence, Missouri Split from the Church of Christ with the Elijah Message, Inc., which in turn split from the Church of Christ With the Elijah Message; founders claim that they are the legitimate continuation of William Draves' organization. Churches tracing their leadership through Sidney Rigdon or William Bickerton. William Bickerton 1862 Organized by former members of the Church of Jesus Christ of the Children of Zion (Rigdonites), by then defunct 19,029 as of Dec. 31, 2012; headquartered in Monongahela, Pennsylvania Adherents commonly referred to as Bickertonites (church actively opposes use of this term). The Church of Jesus Christ (Cutlerite) and related churches tracing their leadership through Alpheus Cutler. Alpheus Cutler 1853 Church of Jesus Christ of Latter Day Saints Approximately 12 members (2010); headquartered in Independence, Missouri Adherents commonly called "Cutlerites"; practice "United Order"; retains Nauvoo-era Temple endowment and Baptism for the Dead. Clyde Fletcher 1953 Church of Jesus Christ (Cutlerite) Never more than 10; headquartered in Clitherall, Minnesota Split from Cutlerites over presidential succession issue; church folded with death of its founder in 1969 and schism was subsequently healed. Eugene O. Walton 1980 Church of Jesus Christ (Cutlerite) 25 members; headquartered in Independence, Missouri Split from Cutlerites when they rejected Walton's claim to be the "One Mighty and Strong". The Church of Jesus Christ of Latter Day Saints (Strangite) and related churches tracing their leadership through James Strang. Aaron Smith 1846 Church of Jesus Christ of Latter Day Saints (Strangite) Defunct Short-lived denomination formed in Voree, Wisconsin. George J. Adams 1861 Church of Jesus Christ of Latter Day Saints (Strangite) Defunct Led followers from Maine to Palestine; attempt to establish mission there failed. Alexandre R. Caffiaux 1964 Church of Jesus Christ of Latter Day Saints (Strangite) Defunct Caffiaux claimed to be the rightful successor to James J. Strang. Church headquartered in France. Theron Drew 1965 Church of Jesus Christ of Latter Day Saints (Strangite) Extant; one congregation led by Richard Drew, Theron's son Drew organized the church after being excommunicated from the Strangite church, on account of Drew's promotion of Merl Kilgore as the "One Mighty and Strong" and a potential successor to James Strang. David Roberts 1974 Church of Christ with the Elijah Message and the Church of Jesus Christ of Latter Day Saints (Strangite) Headquartered in Independence, Missouri Difficult to categorize; Roberts claimed to be Strang's successor. Other "Prairie Saint" branches of the movement, such as the Church of Christ (Whitmerite), none of which is known to be extant. Lyman Wight 1844 Church of Jesus Christ of Latter Day Saints Extant until around 1858 Wight rejected the claims of leadership made by Brigham Young, William Smith, and James Strang. 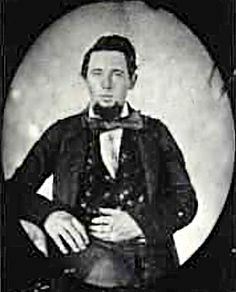 He moved a group of Latter Day Saints to the central Texas frontier. 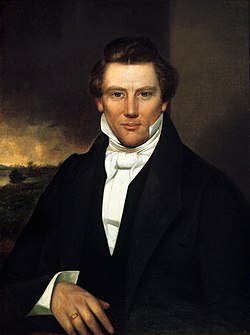 He accepted Joseph Smith III as his father's successor, but did not live long enough to join the RLDS Church (though most of his followers later did). 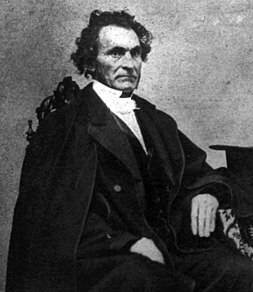 David Whitmer 1847 and 1871 Church of Jesus Christ of Latter Day Saints Extant until around 1925 William E. McLellin claimed that Joseph Smith had designated David Whitmer, one of the Three Witnesses, as his successor. By 1925, most remaining members of the Whitmerite church had united with the Church of Christ (Temple Lot). 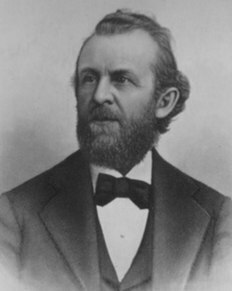 Hazen Aldrich 1848 Church of Jesus Christ of Latter Day Saints Defunct Published a periodical entitled The Olive Branch. Jacob Syfritt 1848 Church of Jesus Christ of Latter Day Saints Defunct Syfritt claimed to have been taken to heaven to converse with Joseph Smith, who designated him as his true successor. Charles B. Thompson 1848 Church of Jesus Christ of Latter Day Saints Defunct Also called Baneemyites and Conjespresites. Thompson claimed to be "Baneemy" mentioned in The Doctrine and Covenants, D&C 105:27. Said the church had been rejected by God following Joseph Smith's death, and he had been called to renew the priesthood among the gentiles. Gladden Bishop 1851 Church of Jesus Christ of Latter Day Saints Dissolved after Bishop's death in 1865 Many members later helped to form the Church of Christ (Temple Lot). Mike Bethel 1994 The Church of Jesus Christ of Latter-day Saints Extant as of 1998; status currently unknown The denomination holds to the canonicity of the Bible and the Book of Mormon, but does not accept other texts in the Latter Day Saint movement such as the Pearl of Great Price and Doctrine and Covenants. Those denominations which originated independent from other organizations and do not trace their doctrinal or priesthood lineage to any 19th-century Latter Day Saint factions, but still hold Latter Day Saint beliefs. Anie D. Obot ca. 1953 Church of Jesus Christ of Latter Day Saints (with LDS Church influences) Extant until around 1978 After LDS Church missionaries visited the town of Uyo in 1953, Obot decided to form unauthorized branches of the church in Nigeria and wrote for more information to church headquarters in Salt Lake City, Utah. However, due to Nigerian government visas restrictions and the absence of church leadership, these branches deviated from LDS Church doctrine. This included some practicing of polygamy and establishing their own black priesthood hierarchy, both of which were prohibited at the time by church doctrine. Joseph W. B. Johnson 1964 Church of Jesus Christ of Latter Day Saints (with LDS and RLDS influences) Extant until around 1978 Upon receiving a copy of the Book of Mormon, Johnson started "Latter day Saint" congregations in Ghana independent from any Latter Day Saint denomination. In 1976, Johnson went to find "The Mormons" (i.e., the LDS Church) and found the RLDS Church instead. However, no further contact was established with the RLDS Church. Upon the announcement of the 1978 Revelation on Priesthood, allowing those of black African descent into the priesthood, Johnson and most of his group were baptized into the LDS Church. Cape Coast group of the independent Latter-Day Saint congregations in Ghana 1976 Independent Latter-Day Saint congregations in Ghana Extant for only a few months The Cape Coast group of the independent Latter Day Saint congregations in Ghana (Johnson) schismed when ongoing contact was not established with the LDS Church or RLDS Church in 1976. Some of the individuals in this group formed the Apostolic Divine Church of Ghana, however, this denomination lasted only a few months. Current location of the Outreach Restoration Branch, in Independence, Missouri. 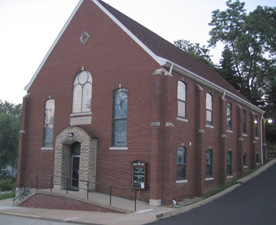 Previously the location of the now-defunct Church of Christ (Hancock). Schoolhouse of the Short Creek Community in Colorado City, Arizona (site of the 1953 Short Creek raid). ^ See, for example, A collection of sacred hymns for the Church of Jesus Christ of Latter-day Saints, in Europe. ^ Herald House Style Guide, an official publication of the Community of Christ. See under entry "Saints". ^ a b Manuscript History of the Church, LDS Church Archives, book A-1, p. 37; reproduced in Dean C. Jessee (comp.) (1989). The Papers of Joseph Smith: Autobiographical and Historical Writings (Salt Lake City, Utah: Deseret Book) 1:302–303. ^ Bushman, Richard L. (2005), Joseph Smith: Rough Stone Rolling, New York: Alfred A. Knopf, ISBN 1-4000-4270-4 . ^ a b Hales, Brian C. "The Council of Friends". mormonfundamentalism.com. Archived from the original on 26 December 2013. Retrieved 16 January 2014. ^ Bennion, Janet (May 1, 2004), Desert Patriarchy: Mormon and Mennonite Communities in the Chihuahua Valley, University of Arizona Press, p. 126, The sociopolitical structure of LeBaron is based ... on the codes of behavior established in the Apostolic United Brethren.... In 1955....Joel LeBaron...received a revelation...that he should build a new church. This news dismayed many members of the LeBaron community, who had formed an alliance with the AUB, under the leadership of its prophet, Rulon C. Allred. ^ a b Hales, Brian C. "Ross Wesley LeBaron". mormonfundamentalism.com. Archived from the original on 26 December 2013. Retrieved 21 January 2014. ^ Wright, Lyle O. (1963). "Origins and Development of the Church of the Firstborn of the Fullness of Times" (Master's thesis). p. 40. ^ Moore-Emmett, Andrea (2004). God's Brothel. Pince-Nez Press. ^ "Church of Jesus Christ of Latter-day Saints and the Kingdom of God, The". utah.gov. Utah Division of Corporations and commercial Code: Business Search. Archived from the original on 29 November 2014. Retrieved 18 November 2014. ^ "LDS Church wins, Canadian polygamist loses in fight for 'Mormon' name". Salt Lake Tribune. 14 January 2015. Retrieved 19 January 2015. Finally giving up the fight, Blackmore has agreed to change his group's corporate name to "the Church of Jesus Christ (Original Doctrine) Inc.
^ a b c Erickson, Ralph D. (1969). "History and doctrinal development of the Order of Aaron". Brigham Young University, Dept. of Graduate Studies of the College of Religious Instruction: 5–8. Retrieved 6 January 2014. ^ Baer, Hans A. (Spring 1979). "The Aaronic Order: The Development of a Modern Mormon Sect" (PDF). Dialogue: A Journal of Mormon Thought. 12 (1): 57–71. ^ Hamer, John (7 March 2009). "Diverse Latter Day Scripture". By Common Consent. Retrieved 12 August 2017. ^ Campbell, Jennifer (November 17, 2012). "Allegations of polygamy, abuse and psychological torture within secretive sect". CTVnews.ca. CTV Television Network. Retrieved 1 February 2014. ^ a b The Gale Group, Inc., a division of Thomson Learning, Inc (2003), Church of Christ (David Clark), Oakwood Publishing Company CS1 maint: Multiple names: authors list (link) – This group is also known as "Lion of God Ministry". Source "Shields, Steven L. Divergent Paths of the Restoration. Los Angeles: Restoration Research, 1990." ^ Lohr, David. "Jeffrey Don Lundgren, Prophet of Death". Turner Entertainment Networks, Inc. Archived from the original on 3 November 2013. Retrieved 2 July 2013. ^ Fox News; The Associated Press (October 24, 2006). "Cult Leader Convicted of Killing Family of 5 Executed in Ohio". Fox News. Lucasville, Ohio. Archived from the original on 2013-07-05. Retrieved 2 July 2013. ^ a b "Jeffrey Don Lundgren". Office of the Clark County Prosecuting Attorney. ^ a b c Russell, William D. (Winter 2005). "An RLDS Schismatic Group Finds a Prophet of Joseph's Seed" (PDF). Dialogue: A Journal of Mormon Thought. 38 (3). ^ Melton, J. Gordon (1996). Encyclopedia of American Religions. Gale Research. p. 576. ^ Campbell, Craig S. (2004). Images of the New Jerusalem: Latter Day Saint faction interpretations of Independence, Missouri. Univ. of Tennessee Press. p. 255. ^ "The Church of Jesus Christ: General Business and Organization Conference Minutes." Greensburg, PA: The Church of Jesus Christ. Oct. 2013. p. 4895. ^ Shields, Steven L. Divergent Paths of the Restoration. Herald House, 2001, p. 158. Shields, Steven L. (2001). Divergent Paths of the Restoration: A History of the Latter Day Saint Movement (4th revised, enlarged ed.). Herald House. ISBN 0-8309-0569-3.